I am almost out of beer. I know, right? Down to the Pineapple IPA hopped with Citra and Mosaic. 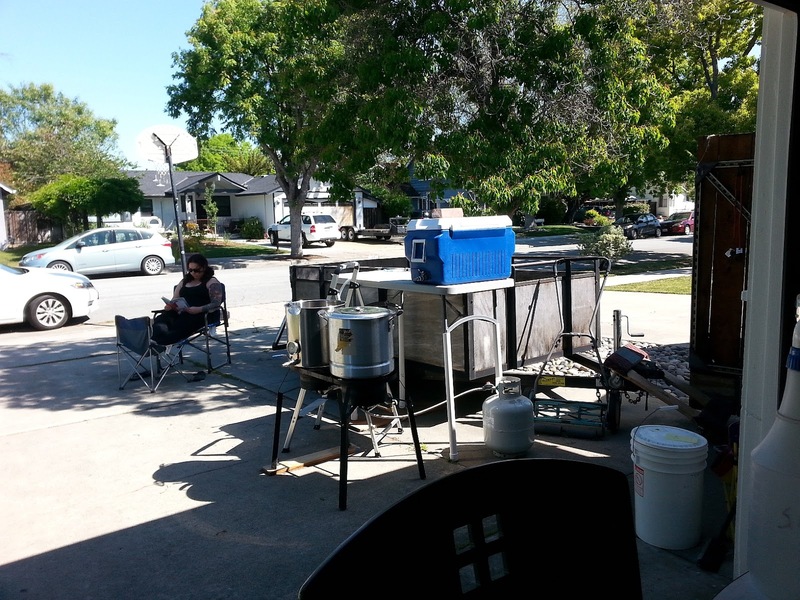 The club needs a barleywine for NCHF, the Northern California Homebrew Festival. The missus DIPA. Can I make a barleywine and a Double IPA in a single batch? Technically, a Barleywine and is a Double/Tripel IPA and a game of semantics. So I modified my Phoebe Pry IPA recipe and a club Barleywine recipe to do a no sparge Barleywine and mash on the same grain bed with the IPA recipe. I have done this before with an Imperial Stout and a normal Stout. They came out great. 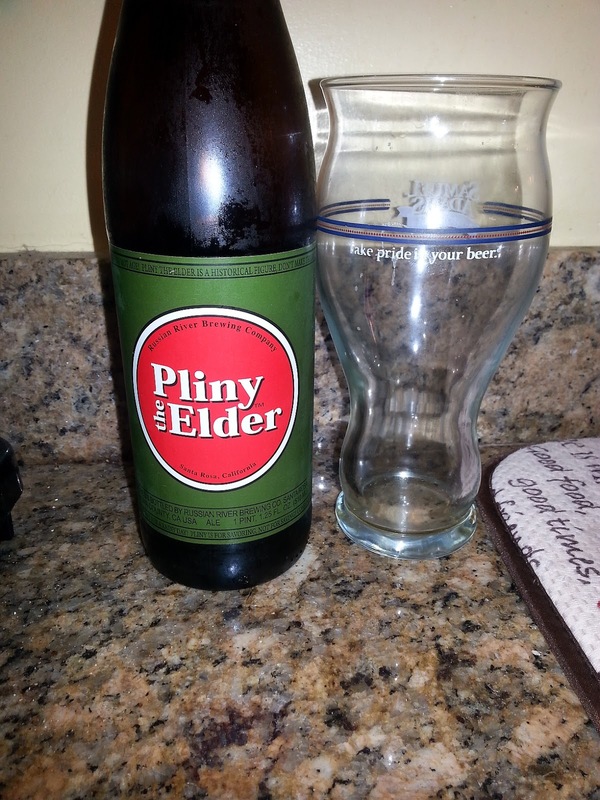 I wasn't sure if dark beer fare better with this method or not. I separated the recipe ingredients in two separate buckets. Milled separately and added a note to each to ensure I was using he right ingredients at the right time. I started with the no sparge Barleywine. using Beersmith software, I chose a Brew In a Bag equipment profile which is an easy way to calculate a no sparge batch strike water volume. I definitely nailed the strike temp at 154F adding 7.2 gallons of 170F water to the 12 pounds of grain for the 3 gallon batch. Now I had an hour for the mash before I would vorlauf 2 pints at a time, 10 times until the wort would flow clear. 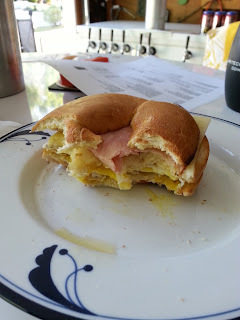 So, it was time for some brew day breakfast; Triple decker fried ham and egg sandwich on a plain bagel cut into three layers. Some beer mustard and spicy pepper jack cheese went well with my Chocolate Coconut Porter. I transfered around 5 gallons of 13.2 BRIX wort which was 1.054 Specific Gravity. A long way from my target 1.101 SG. After 2 hours of boiling and several hop additions (Magnum, Cascade, Columbus) the boil was done an the gravity was 24 BRIX or 1.102 SG. I transferred about 2.5 gallons into the 3 gallons fermentor at 68f. I pitched a packet of Safale 04 dry yeast. After transferring the Barleywine to the boil kettle, I added the additional 13lbs of grain to the grain bed and added 4 gallons of strike water at 165F hitting my smash temp of 146F. A little over an hour later I sparged with another 2.5 gallons of 168F water and ended up with 5 gallons of clear wort in the kettle. I was a little worried with the 14 BRIX pre boil gravity (1.058 SG) but after an hour oro so of boiling and adding magnum, Cascade and Simcoe hops I ended up with 3 gallons of 1.083 SG wort in the fermenter. I pitched 2 vials of White Labs 001 yeast and rigged a blowoff for the high krausen yeast to drop into the Barleywine. The implementation was poor and was almost a disaster but worked well enough to get the happy yeast from the IPA into the Barleywine though there was a lot of leakage and cleaning still to do. With a lot to clean and gnarly back pain, I took a break and had an intermission beer. The beers stayed in the fermenter for two weeks. 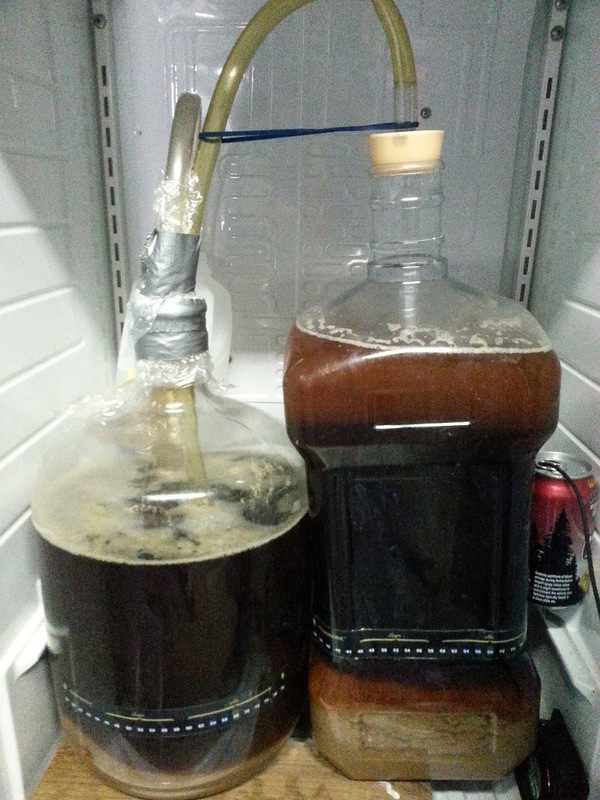 I took both out and cleaned the mess in the fermenter from the blowoff experiment. It took gravity sample and dry hopped both. The barleywine finished at 1.021 SG for a final ABV of 10.8. I dry hopped with an ounce of Cascade, an ounce of Amarillo and two ounces of Liberty hops. The IPA finished at 1.011 SG for a final ABV of 9.5%. I dry hopped with an once of Simcoe, two ounces of Cascade and an ounce of Amarillo. 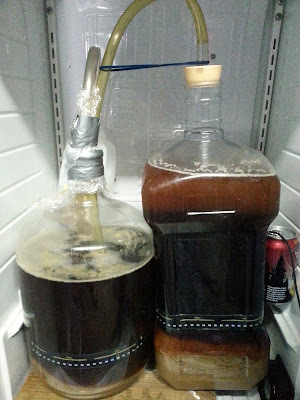 I will let both set another 5 days before kegging. If I can score some spirals, I will oak age the barley wine another week or two before kegging. Next up I plan to split a 6 gallon batch of Imperial Porter and finish with 3 gallons of Bourbon Vanilla and 3 gallons of Chocolate and something else.